Create a sacred sanctuary for your soul today! Peace begins at home—from within your heart and extending ever outward. Create a space that reflects and amplifies your inner light and honors the importance of Spirit in it. Heather has designed a Sacred Space package to help transform your home into a vibrant peace sanctuary. Altars center your intention to commune with Spirit in a holy space for support and sacred sanctuary. Home Clearing can restore health and balance when events or circumstances change the energy of your home. Heather's Sacred Ceremony services help create sacred sanctuary for specific occasions or places outside the home. Sacred ceremony is a way to honor life and living. We all have times in our lives that are special. We want to celebrate,mark the moment and bring meaning to the passages between stages of life. Ceremonies and rituals allow us to connect to, honor and celebrate life. Heather creates a loving spiritual space for prayer to celebrate the journey of your soul. Marriage is a union of souls that have come together to share spirit of life and serve in love. This is not religious and not limited to any certain group; it is for all souls that wish to have a sacred ceremony to celebrate their union. Ceremony can be for birthdays, new moon, spiritual retreats, partnerships, beginnings or endings, births and funerals. Spiritual rituals and ceremony are used in numerous cultures as a way to honor the divine beloved. Ceremonies - start at $333 Contact Heather for details. Having a clear home is important for optimal living and health. When certain experiences occur in our home such as arguments, depression, grief, and loss it can change the energy of our home. Heather comes to your home or office and clears your space! Clear out spiritual entities and energies, heavy debris from emotions, raise the vibration of your home or just lighting up your place. Clearing your home is a great way to help sell your home and prepares it for a new owner. Clearing a newly purchase home removes old energy and prepares the space for you and your family to move in. Raise your vibration and live in a clear healthy space. Heather provides in person or long distance house work through meditation, prayer and energy work. Price varies with the size of your home and if it is an in-person clearing. Contact me to schedule a clearing today. 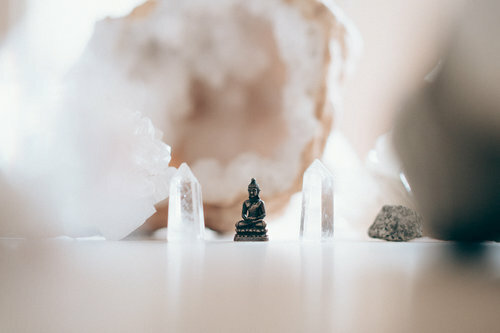 Creating a sacred place to connect within your home helps you stay centered, peaceful and focused on the service you are doing and being for the world. Altars are used for the intention of having a holy space to sit in, bring offerings, and connect with the Divine. When we have a place set up for this intention for Spirit we can receive intuitive guidance and be in a holy space to reflect. Altars can help amplify your intentions and prayers, they hold energy to use towards your manifestations and healing. Heather guides and helps you build an altar that represents you and the energies that you want to draw from to support your sacred sanctuary space and intentions. This is a very special service that assists you in your most intimate surroundings to amplify your highest connection to yourself. Heather intuitively works with you in your home to use materials that bring the highest version and representation of you. Altar building is an in-home service with prayer and intuitive work for adults, families and children! It was a beautiful home and the asking price was more than reasonable. Yet, nothing. It was turning into a nightmare. When Heather suggested she come over, I didn’t hesitate. After “doing her thing” she told me that I needed to finish some landscaping we had promised but never finished. Then the house would sell. I couldn’t believe it was that easy. The front already looked great and realtors had said it was perfect. The next weekend I spent $80 and all day putting in a flower garden, laid some mulch and waited.